Great for installing insulation between studs. Great for attaching paper posters to wood. 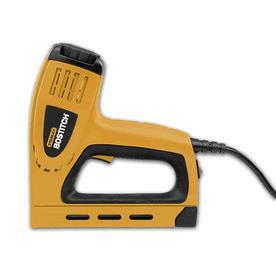 Uses Bostitch STCR5019 staples (1/4" or 3/8" long).